Atlanta's hot as Hades these days, but that's nothing a little live music and a few beers can't improve. This summer’s concert forecast leans heavily on the classics: acts like Gladys Knight and Steve Miller Band are still going strong, while Lynyrd Skynyrd and Paul Simon play their last Atlanta shows for good. Other nostalgic acts include Weezer, Lucinda Williams, Counting Crows and Blackstreet, because evidently the 90’s are never going away. Check out Atlanta’s best outdoor concerts lasting through mid-September (because we know fall isn’t coming anytime soon). 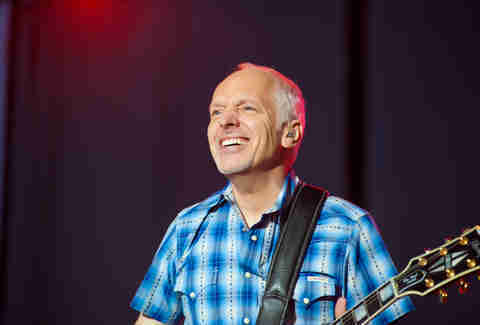 Steve Miller Band and Peter Frampton reunite for a night of classic rock at Verizon Amphitheatre. 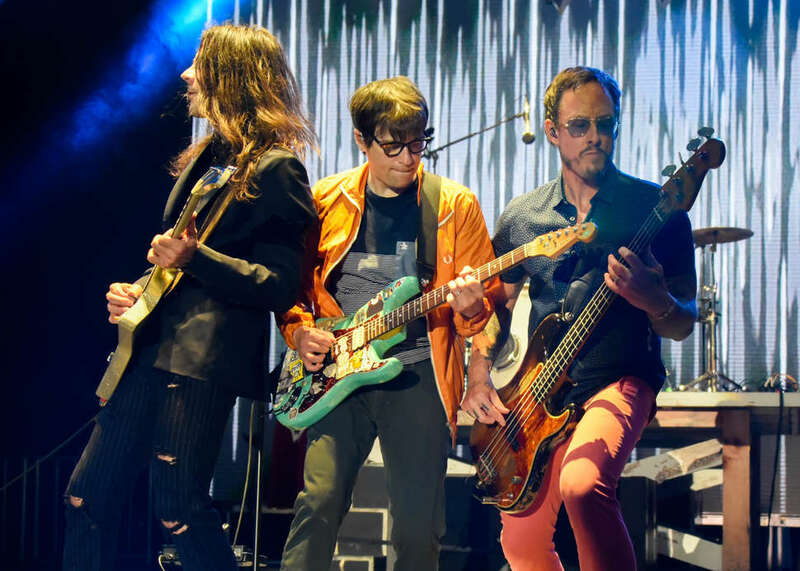 Alt-rock legends Violent Femmes and Echo and the Bunnymen reprise last year’s run for a night of alternative nostalgia. Get closer to fine with the Grammy-winning folk-rock duo beneath a Buckhead dusk. Travel back in time with a lineup including Boy George and the B-52s. Nostalgia continues to reign supreme while the Pixies continue with their mostly-reunited lineup. Boston-based indie boys Dispatch continue their nationwide run supporting recent album America, Location 12. Down a beer, belt out “Mr. Jones,” and reflect on the past 25 years of your life. Juvenile, Scarface, Too Short, Project Pat and more unite at Wolf Creek for an evening of iconic hip-hop. 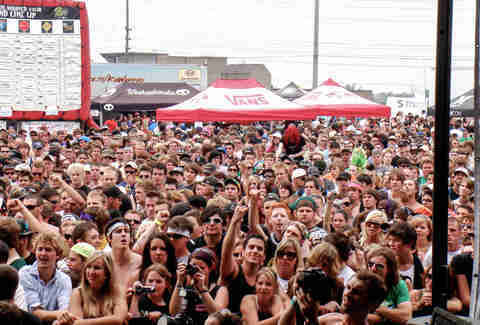 The Vans Warped Tour finally ends its 24-year run, so now’s the time to get back in touch with your emo angst. Headliners include Less Than Jake, Simple Plan, and Senses Fail. Kesha continues her comeback in support of her newest album, Rainbow. Macklemore opens, sans Ryan Lewis. De La Soul, Big Boi, and Victory open in celebration of Ms. Lauryn Hill’s monumental album. Three consecutive nights of Phish concerts. But if you're a Phish fan, you already knew that. A Flock of Seagulls! Animotion! Wang Chung! When in Rome! Berlin! Naked Eyes! Berlin! You won't wanna miss this one. SiriusXM presents a roundup of country legends in time for the 20th anniversary of Car Wheels on a Gravel Road. The “Love Train” crooners open for the Empress of Soul. Come prepared to dance. Slayer’s American Carnage tour includes Lamb of God, Anthrax, Testament, and Napalm Death as openers. Come for hours and hours of heavy metal. Stay for… hours and hours of heavy metal. Stephanie Mills, Joe, Tony, Toni, Tone, Ready for the World and Rose Royce play KISS 104.1 FM’s annual ode to the flashback. Wolf Creek’s “An Evening Under the Stars” series continues with a round of R&B ranging from the '90s to now. Lil Skies and O.T. Genasis open for what’s sure to be the summer’s most… elevated...event. Texas-based sensation Leon Bridges and Masego make for a soulful evening. Say goodbye to Lynyrd Skynyrd with a little help from Hank Williams, Jr., the Marshall Tucker Band, and Blackberry Smoke. G-Eazy and Lil Uzi Vert headline a roundup of popular rappers including Ty Dolla $ign. Twelve-time Grammy-winner Paul Simon returns to Atlanta for one last show, five days after releasing parting gift In the Blue Light. Sarra Sedghi is a writer with a fancy master’s degree and an endless appetite. She enjoys psychoanalyzing cartoons, studying gas stations, and spending too much time on Twitter.